With only seven residences per floor, you'll enjoy spacious rooms, and for incomparable Relaxation & Recreation, the city's only Sky Top pool, health club and recreation center. For your convenience, a business center in the building is at your disposal and a variety of food shops and services are just beyond the lobby entry. Now is the time to experience the difference a 350 degree view of downtown life will make. A "New Urbanism" is overtaking Fort Lauderdale, fueled by those who value their time and would rather enjoy downtown living than commute to the suburbs. Are you someone who loves the idea of being in the epicenter of fabulous restaurants, a variety of entertainment venues, the banks of the New River and the burgeoning arts and culture scene of downtown Fort Lauderdale? Do you appreciate the synergies of mixed use commercial and residential neighborhoods? If so, this could be for you. 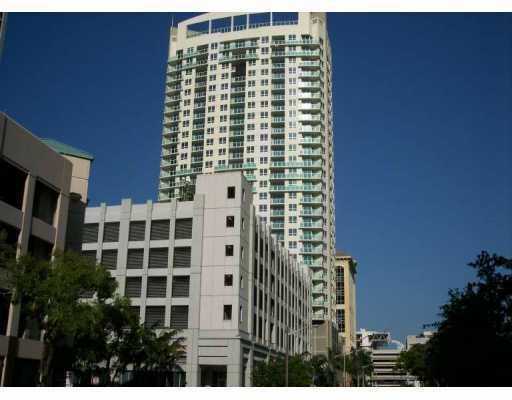 This stunning 30 story luxury tower, located between Las Olas Boulevard and South East 2nd Street along South East 4th Avenue, provides exclusive homes to only 163 residents, seven per floor. Pet Owners: 350 Las Olas Place will permit dogs with no weight restrictions.